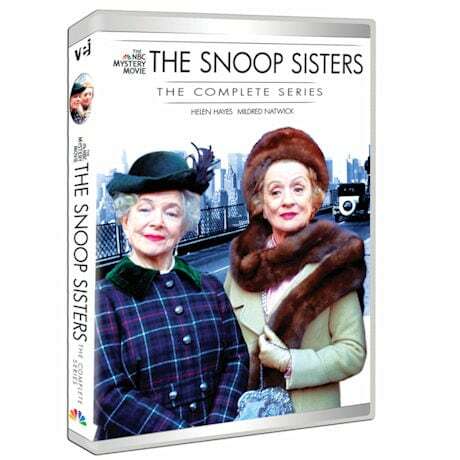 Long before Angela Lansbury brightened TV screens as prime time's not so young literary sleuth in Murder She Wrote, Hollywood film legends Mildred Natwick and Helen Hayes joined forces to solve mysteries as The Snoop Sisters. Forming a one of a kind "whodunit" team, eccentric elderly sisters Ernesta and Gwendolyn Snoop's witty imagination and curiosity all too often lands them deeply embroiled in real life murders. 6 ½ hrs, 2 DVDs.